Dr. Jayadevan graduated from the University Of Madras in India in 1974. He received his New York State Dental License in 1978. His dental speciality is full mouth rehabilitation,dental implants and cosmetic dentistry. 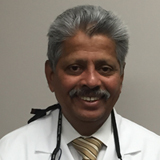 He is a Fellow of the Academy of General dentistry, and Associate Fellow of the American Academy of Implant Dentistry and was a part time faculty in the New York University College of Dentistry from 1990 to 2001. 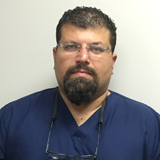 Dr.Arvilli graduated from Stony Brook Dental School In 1999. His specialty is cosmetic dentistry. His experience and knowledge as a cosmetic dentist has helped many patients to get their beautiful smiles back. Dr. Arvilli can offer you great choices to achieve wonderful looking teeth that will not only boost self confidence but can lead to a healthier life too. 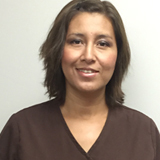 Hello my name is Darlene and I have been a Moriches Dental Associate since August of 2010. 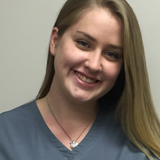 As a past LPN I was given the opportunity to explore the dental field from a previous experience and have enjoyed it since. Since becoming an associate I have enjoyed being able to learn the ins and outs of Dentistry and the privilege of knowing the wonderful people here. Hi !!! 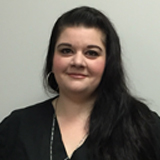 I started at Moriches Dental in March 2008 as a dental assistant,receiving my Dental Assistant certification from St Charles Hospital in 2003. In 2010 I took over some admin duties, and found my passion for the clerical aspect of a dental office. What I love most about Moriches Dental Associates is the staff. We have an amazing relationship, They are no longer co-worker but my family. I have been working for the past two years at Moriches Dental Associates. My experience here is that it is a very friendly working environment both with patients and staff. 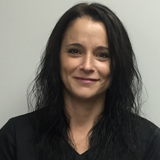 It is a very professionally run dental office where we are always looking to make the best smiles for our patients. Our most important goal is for all patients to be happy with our work. 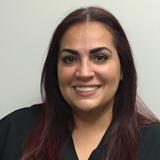 I worked for Moriches Dental Associates since 2013, graduated in 2003 from the New York City College of Technology-CUNY, receiving the AAS degree in Dental Hygiene, and are licensed to administer local anesthesia and Nitrous oxide sedation. I love establishing a rapport with my patients. The best part about working at Moriches Dental Associates is the amazing team spirit. 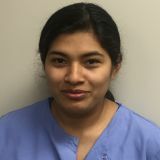 I have recently joined the practice; however, I've worked with Dr. Jayadevan as a dental assistants for about 6-7 years, until I decided to become a dental hygienist. I believe the quality of his work to be the best in almost 10 years of working in the dental field for multiple different offices. Patient Care is taken very seriously by all the staff members. I enjoy drawing and painting on my spare time. 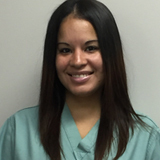 I began working at Moriches Dental in 2013. I have been in the dental field for over 20 years. All of us at Moriches Dental care very much about our patients and each other. We strive to bring a positive and rewarding experience to each patient. I have been working within the dental field for 14 years receiving my certificate through the BOCES technical school in June of 2001. I started to work at Moriches Dental Associates in April 2007. 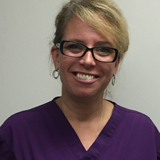 Working at Moriches Dental Associates is more than just a job, it is my passion. 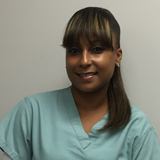 I love working with the staff at Moriches Dental Associates, we work well as a team and have become a big family. I am a member of the Moriches Dental Family since July 2015. I received my Dental Assistant Certification at BOCES. I love talking with patients and helping the Doctor during the patients treatments. Working with my Moriches dental family is wonderful, because they are not only great fun to be with, but they are also a highly professional and an energetic group of people.